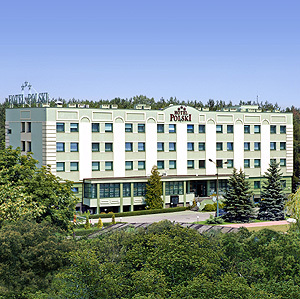 Located in the centre of Mielec, close to the Stal Mielec sport center, the Polski hotel invites guests to spend relaxing holiday in the peaceful area surrounded by greenery. In summer there is a summer garden where guests can spend a leisure time. 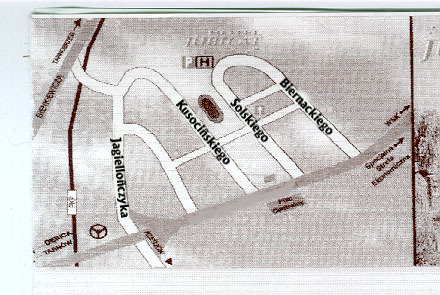 The hotel is close to the Special Economic Zone. All the rooms are equipped with the telephone, TV Sat and mini bar. The car park is situated directly close to the hotel. The hotel has a restaurant that can seat up to 120 people and serves traditional Polish cuisine. The modern fitness centre offers trainings in Fitness Club and the use of sauna, solarium, Jacuzzi. All rooms are air conditioned. The hotel specializes in organization of conferences, trainings and business meetings. For business meetings the hotel offers coffee breaks with special rich. We propose elegant parties in the beautifully located renaissance Rej Palace in 15 km distant from Mielec Przeclaw. Additionally at our guests disposal is a conference room for 200 people, multifunctional conference room and Business Centre, Banquet conference room and Night Club.